Luana, a retired psychotherapist in southern California, discovers a novel about a girl living in England in the 1970s who has been raped. As Luana devours the book, she and the young woman each share their search for the innermost harbor of women’s life choices. Even though they live in separate countries and bridge many decades in time, their individual exploration of metaphysics, spirituality, and women's rights culminates in a mysterious friendship. Finding Destiny invites us to find inspiration and to remember the interconnectedness of all things. One question asks the reader, 'When we fall in love, where does the love come from?' This in itself is a great starting point for a reading group; I would love to discuss this question with the author straight away. 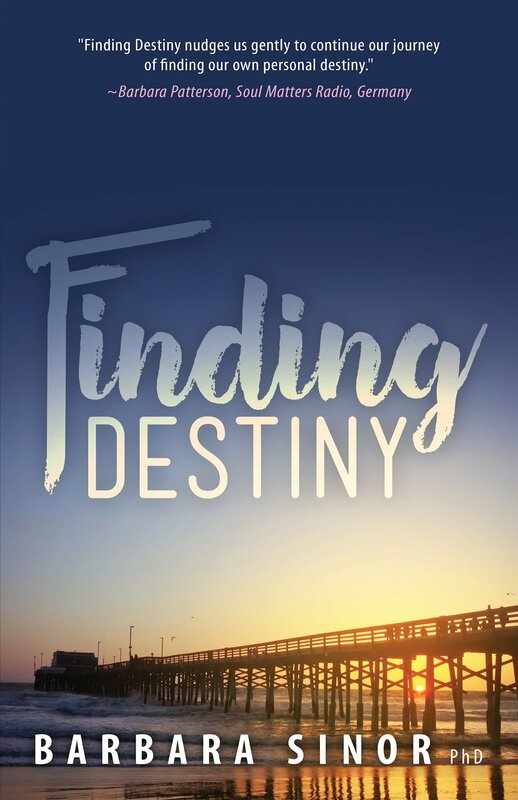 Finding Destiny addresses the reader’s self-awareness, and Sinor nudges us gently to continue our journey of finding our own personal destiny. Reading the book felt like watching a movie; nail-biting moments, tears, and goosebumps--all the ingredients a good Hollywood movie needs!" "Finding Destiny is an engaging book, exploring connections of people separated by time and space. As a woman who has experienced unplanned pregnancy, I was especially appreciative of the exploration of this theme." "Finding Destiny is the story of two women whose challenges and triumphs mirror each other in many ways. It is also about transformation and how to achieve it. Through this fictional story, Sinor offers an introduction to metaphysical principles that become the foundation for both women’s strength and power." "Finding Destiny goes beneath the skin, down to the internal turmoil and sacrifices of two women a half century and oceans apart as they, with their best conscience, make life-changing decisions."